We use business letters almost every day in our transactions. 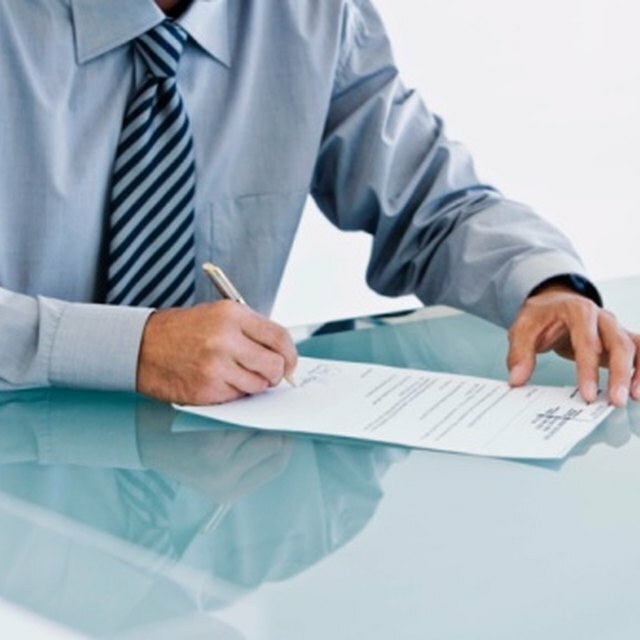 However, have you ever taken a moment to think about the definition of a business letter? This ubiquitous form of communication has quite a lot of features that we use every day, but we don’t often think about their specific conventions. Business letters are formal and are used in business correspondence. A business letter is one of the many types of letters out there. It is simply a special kind of formal letter that senders and receivers use to correspond with each other about business transactions which they might not be able to carry out orally in an effective manner. Business letters can be used for communication among businesses, among businesses and clients and among clients and businesses. There are some important elements that make up the common business letter format. When identified in a letter, these are what effectively qualify it as a business letter. Every business letter has the unique quality that the very first line of the letter is the date. This indicates the date when the letter was written or when the letter was completed. It does not, obviously, have to be the date when the receiver received the letter. Just below the date of the letter, you should include the sender’s address. You shouldn’t include the name of the sender in this part. There will be a place for that later. Sometimes, when you print the letter on an official letterhead for your business, then your address will already be included in the letterhead. In that case, you shouldn’t include the sender’s address under the date. That would be redundant. Next comes the address of the recipient. If you know the name of the recipient, you should include the name of that person in their address. You should also include the proper title for that person, such as Ms., Mrs., Mr., Dr. and so on. As you write the address of the recipient, you should include their country. This is especially important for international business letters. Don’t forget to capitalize the entire country name and not just the first letter. If you don’t know the name of the recipient, then you can refer to the person by his position within the company at which he works, such as “General Manager,” “Director” and so on. It’s always a safer bet than making assumptions about his name or title when you don’t know him very well. After the recipient’s address comes the salutation of the letter. Of course, you should keep your salutation consistent with the name you used for the recipient in the recipient’s address. There can be a bit of conflict about what kind of salutation to use when you know the name of the person. Do you refer to the person as “Sir” or “Madam,” or do you refer to the person by name? It is best to treat the situation how you would treat it in real life. You are unlikely to be on a first-name basis with anyone you do not personally know. So, if you personally know the recipient and you typically refer to her by her first name, then it’s OK to use her first name. Otherwise, it is best to refer to her as “Madam.” Also, if you don’t know the person's gender, you should use “to whom it may concern” as a salutation. The body should be written in a formal manner. Your lines should be single spaced except when you insert a double space between paragraphs. The final paragraph should be a succinct summary of what was stated in the letter. In order to close the letter, you should use phrases like “best regards” or “thank you” with a comma after. There should be four lines after the closing, after which you will write the name of the sender. That space is where you put your signature once you’ve printed the letter. EnglishClub: What is a Business Letter?